Khirbet Qeiyafa is located ca. 30 km southwest of Jerusalem, on the summit of a hill that borders the Elah Valley on the north. This is a key strategic location in the biblical Kingdom of Judah, on the main road from Philistia and the Coastal Plain to Jerusalem and Hebron in the hill country. The city was constructed on bedrock, 2.3 hectares in area, surrounded by massive fortifications of megalithic stones. Five seasons of excavation were carried out in 2007-2011, five areas of the site were examined, and nearly 20% of the city has been uncovered. The expedition excavated 200 m of the city wall, two gates, a pillar building (small stable?) and 10 houses. In this area one of the world’s most famous battles took place, the battle between David and Goliath. 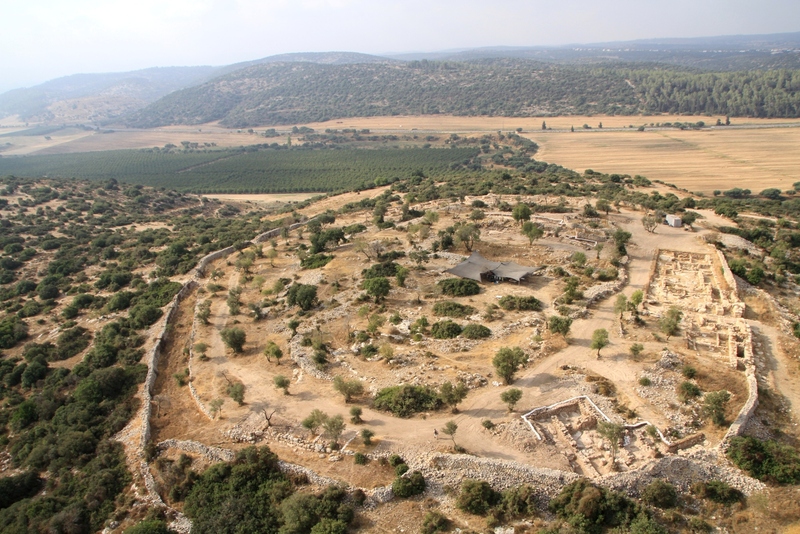 For students of biblical Israel, the site of Khirbet Keiyafa is, by almost any account, the most important archaeological discovery of this century. In this lecture, we will explore the site’s significance for exposing and understanding King David and Israelite society under the early monarchy. 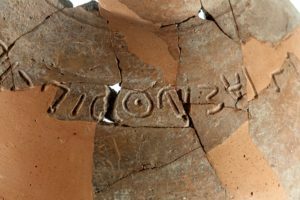 In addition to the non-textual archaeology, we will consider the extremely significant inscriptions discovered at this site including one with the name of Ishbaal which also is the name of a son of King Saul of Israel. 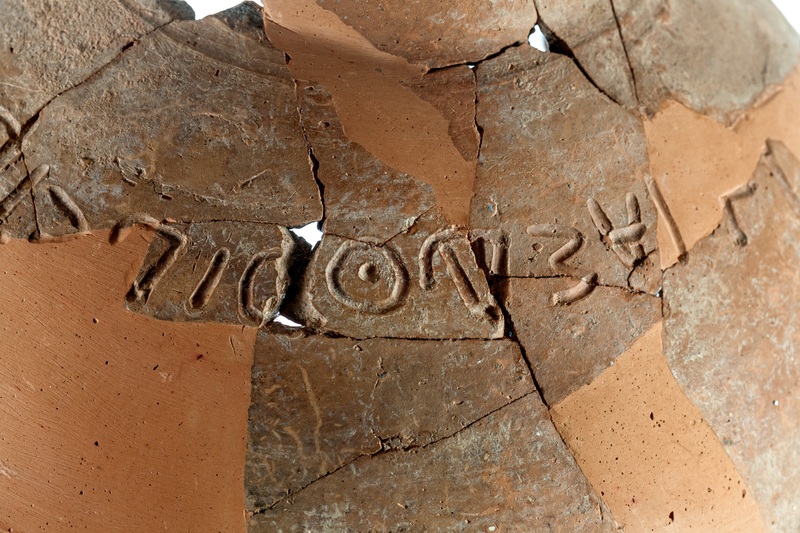 Jill (Citron) Katz teaches archaeology and anthropology at Yeshiva University with a specialty in biblical archaeology. 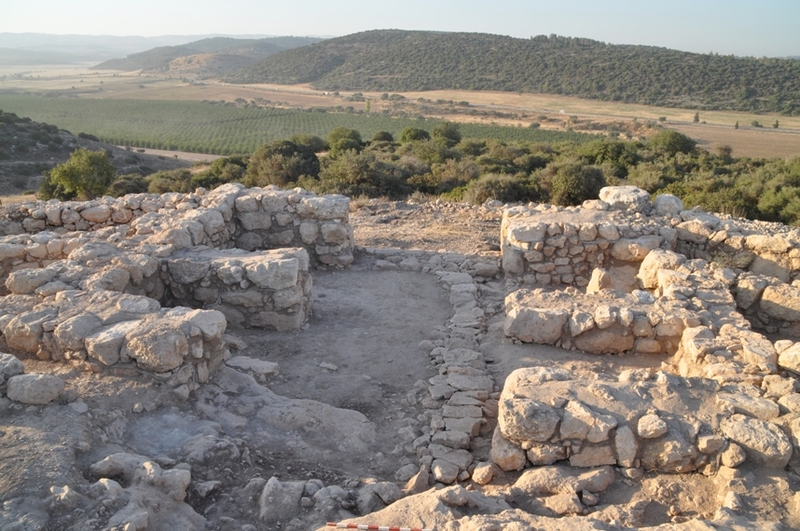 She has excavated at several sites in Israel, including Ashkelon, Tel Haror/Gerar, and most recently Tell es-Safi/Gath (Goliath’s hometown) where she currently serves as Area Supervisor for Area P. Her research interests focus on the nature of Israelite leadership during the time of the Judges (Iron I period) and on emergent urban life during the time of King David (Iron IIa). She is the author of The Archaeology of Cult in Middle Bronze Age Canaan. Glad to see you enjoyed the lecture. We hope to see you at future lectures and that you will consider joining our Society. I am forwarding your message to the speaker.